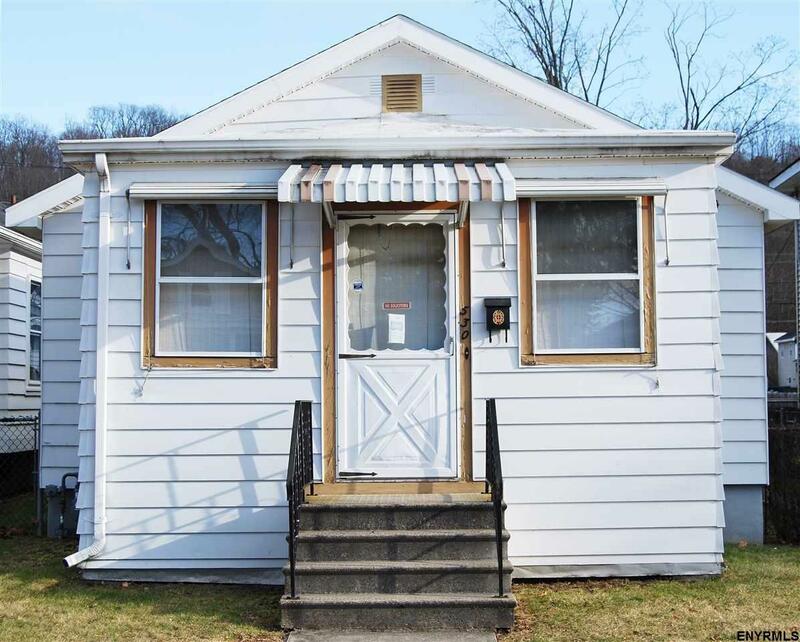 Well maintained 2-3 bedroom ranch in Lansingburgh boulevard area. Utility room has double closet and could easily be used as a third bedroom. Long kitchen counter with custom eating area. Spacious cabinets. Washer and dryer hook-ups on first floor and in basement. Enclosed front porch. Custom aluminum awnings on every window. Large, fenced yard with shed and double gate in back. Plenty of room for a patio, pool or deck. Close to everything. Bonus: Large pool table in basement will be left for new owners.